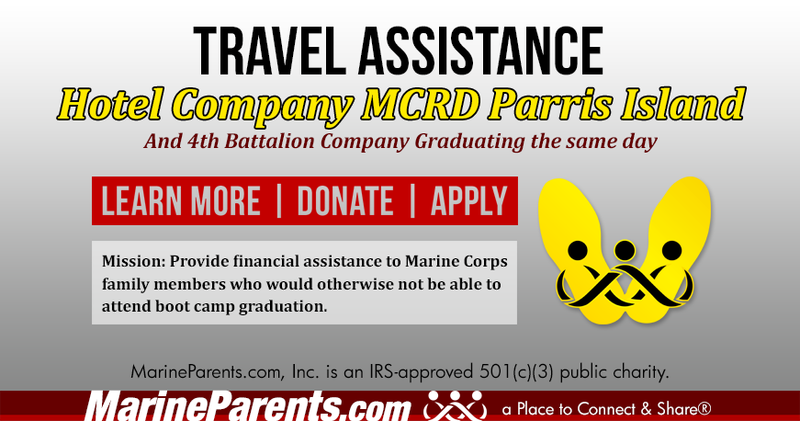 Members from our Official Marine Parents Facebook Group for Hotel Company Parris Island Graduation 05-31-2019 have collectively decided to raise $1500 to help family members attend graduation at MCRD Parris Island. To date, we have collected $125 toward the agreed-upon goal. Your donation will be added to this goal amount.